Historisk kampsport i moderne innpakning! Do you want to learn sword fighting, based on medieval and renaissance sources for self-defense, dueling and sports? 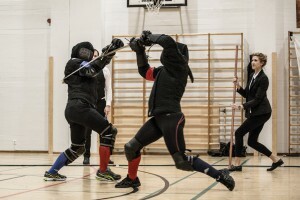 Bergen HEMA are running a beginners’ course in German longsword fencing Mondays at 20:00 – 22:00. The course is open to everyone over 18, and people from 16 can participate with written permission from their parents/legal guardians. Bring indoor shoes with a sole that doesn’t leave marks, water bottle and gym clothes, and we’ll bring the rest! We train at Ny-Krohnborg Kulturhus. For map and more info, see the Trening og medlemskap page. 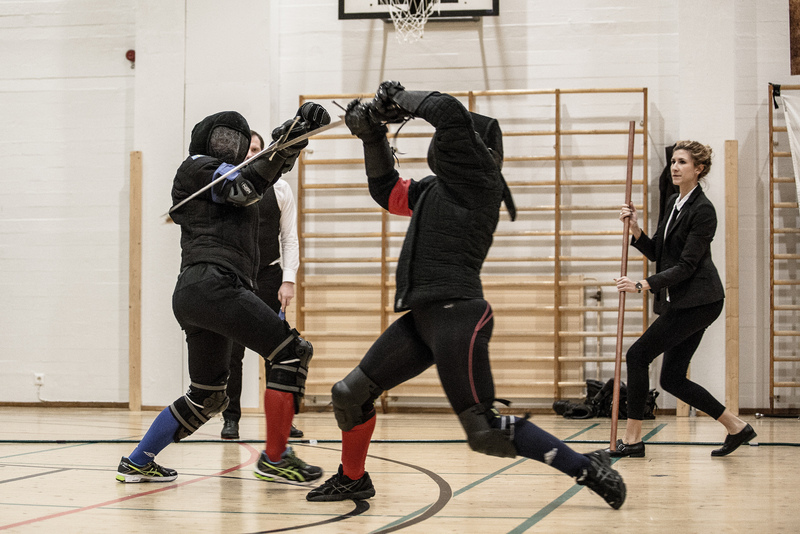 The beginners’ course costs 800 NOK, and includes a year’s membership in Bergen HEMA. If you have any questions, feel free to contact us on post@bergenhema.no and our Facebook page!